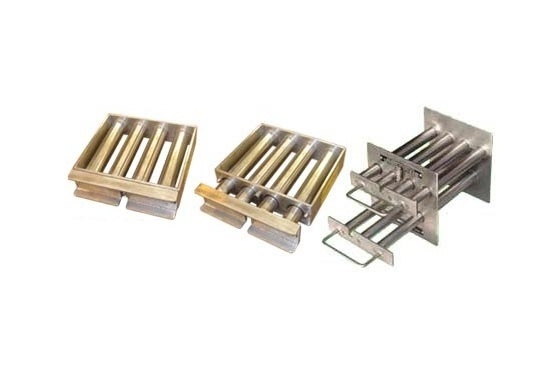 Greenwood Permanent Magnetic Grids are designed primarily for fitting in hoppers for the extraction of ferrous metals from materials being processed. 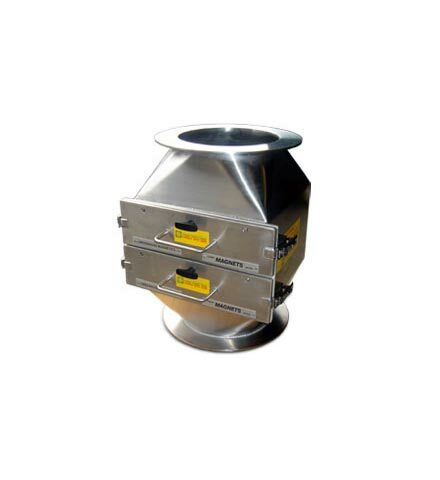 Manufactured to any size or shape, they are simply placed in the hopper to rest against the sides thus allowing the materials to flow through the grid. 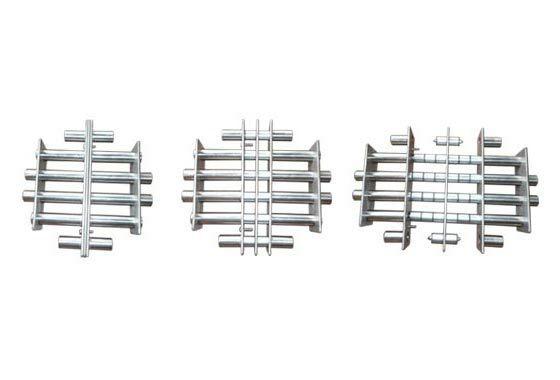 These grids, encased totally in stainless steel for rigorous handling, are often used in hoppers in the plastics industry. 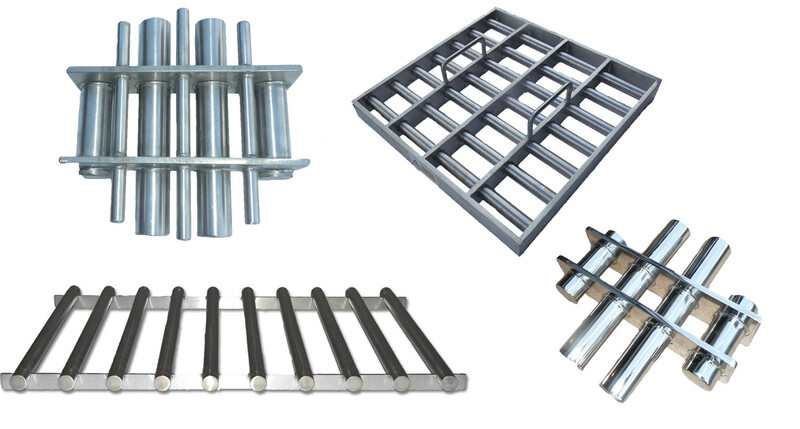 For an even higher level of protection, double and triple banked grids can be manufactured. 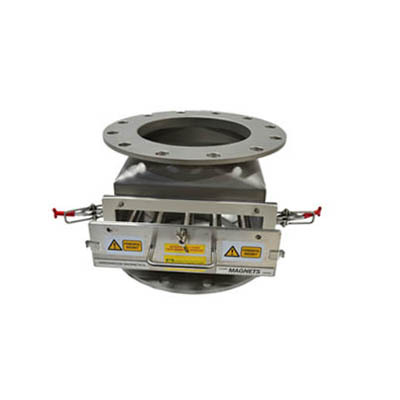 All grids are manufactured with powerful rare earth magnets, which can extract fine ferrous particles such as rust etc. Single Magnetic Tubes are also available with ends drilled and tapped to your requirements. 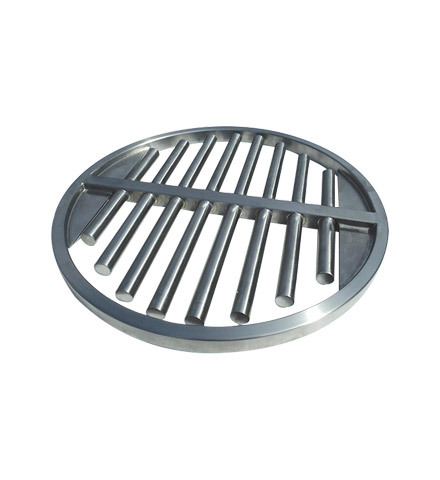 Easy Clean Magnetic Grids are being increasingly used by customers who require fast and easy metal contamination removal. These grids are fitted with an interlock. 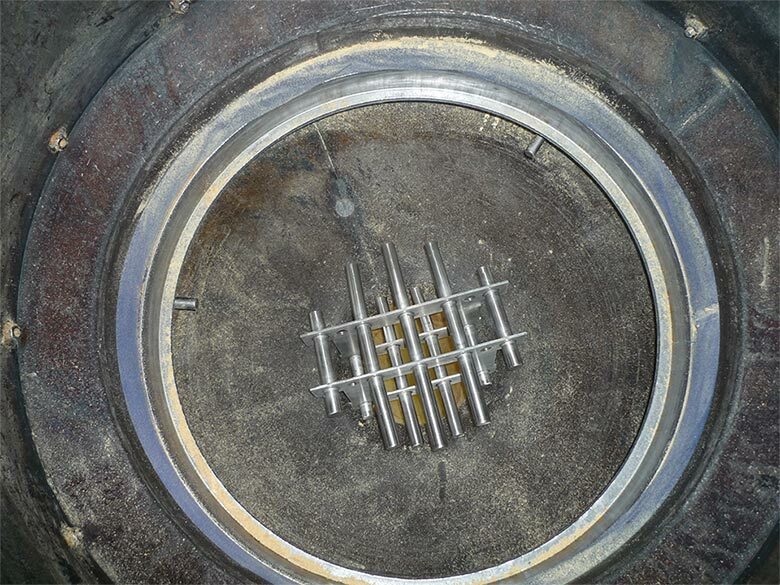 To clean the grids, remove them from the hopper, slide open the interlock, and slide out the inner magnetic tubes. The metal debris simply falls off. 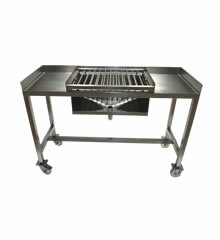 This is an excellent feature for operatives who clean the grids on a regular basis and saves downtime. Available in various magnetic strengths. 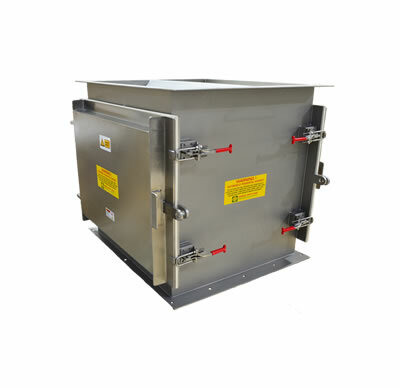 A Greenwood Magnetic Grid positioned in the hopper is used to filter metal contamination from food ingredients in the biscuit industry.